This article is about the current Norwegian second-tier football league. For the first-tier league previously known as 1. divisjon, see Eliteserien. 1. divisjon (often referred to as OBOS-ligaen for sponsorship reasons) is the second-highest level of the Norwegian football league system. Each year, the top finishing teams in the 1. divisjon are promoted to the Eliteserien, and the lowest finishing teams are relegated to 2. divisjon. 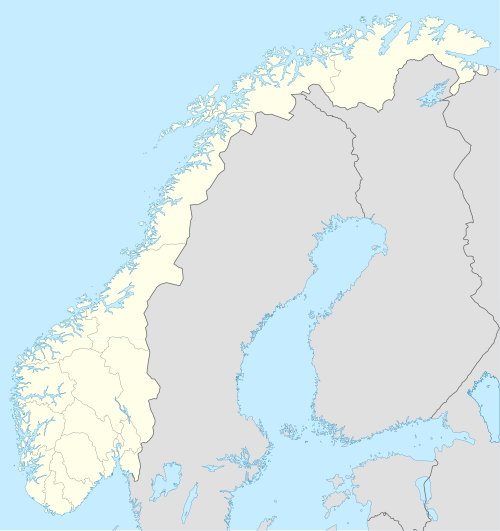 1. divisjon was previously known as 2. divisjon (1963–1990) and before that Landsdelsserien (1951–1962) and 1. divisjon (1948–1951). Formally, it was a semi-professional league. The tier has been restructured many times and consists of 16 teams at present. Between 1963 and 1990, the second highest level in Norwegian football was named 2. divisjon. In 1991, due to rebranding of the top flight level in 1990, it was renamed to its initial name; 1. divisjon. 1. divisjon has been the name of this level ever since, except for periods when the league has had a sponsor-affiliated name. Between 2005 and 2013 the level was known as Adeccoligaen and from 2015 to 2020 the name is OBOS-ligaen. In the 1997 season, 1. divisjon merged from two divisions consisting of 12 teams each, to only one with 14 teams. In the 2001 season, 1. divisjon expanded from 14 to 16 teams. Only two teams were relegated in the 2000 season. In 2009, the number of teams in Eliteserien expanded from 14 to 16. Therefore, only one team was relegated to 1. divisjon, whilst three teams were promoted to Tippeligaen. Since 2012 four teams, finishing 3rd to 6th, has qualified for promotion play-offs. In the 2017 season the relegation format was changed. The previous format where four teams were relegated was replaced with a format with two relegation spots and one relegation play-off spot. The league is contested by 16 teams. During the course of a season, each club plays the others twice, home and away, for a total of 30 games for each club, and a total of 240 games in a season. The season starts in April and lasts until early November. The top two teams will be promoted to Eliteserien, while the teams placed from third to sixth place will play a promotion-playoff against each other to earn the right to play a two-legged game against the 14th-placed team in Eliteserien to win promotion. The bottom two teams will be relegated to the 2. divisjon known as PostNord-ligaen, and the team in 14th place will play a two-legged playoff against the play-off winner among the two-second-placed teams in 2. divisjon. Ahead of the 2015 season, a six-year deal was agreed with the housing cooperative OBOS. In the period from 2015 to 2020, 1. divisjon will be named OBOS-ligaen. From 1963 to 1990, the second tier in Norwegian football was named 2. divisjon. Until 1996, the 1. divisjon teams was split in two groups. This statistics shows the winning cubs, runners-ups, play-off teams, top goal scorer and the league's average attendances starting with the first one-group 1. divisjon season in 1997. Teams in bold won the promotion play-offs and were promoted to Eliteserien. ^ "Tippeligaen utvides til 16 lag". Football Association of Norway (in Norwegian). 8 March 2008. Archived from the original on 4 August 2008. Retrieved 20 March 2008. ^ "2014 Bestemmelser om KM, opp- og nedrykk" [Rules for promotion and relegation, 2014] (PDF). Football Association of Norway. Archived (PDF) from the original on 24 September 2015. Retrieved 20 January 2016. ^ Lars Aarhus. "First division 2018". RSSSF Norway. Archived from the original on 5 December 2017. Retrieved 4 December 2017. ^ "PM: 1. divisjon blir OBOS-ligaen" [Press release: 1. divisjon becomes the OBOS league]. ToppFotball.no (in Norwegian). Norsk Toppfotball. 15 January 2015. Archived from the original on 3 February 2015. Retrieved 15 January 2015. This page was last edited on 14 April 2019, at 02:15 (UTC).